When comedian Jerry Seinfeld famously cracked a joke about most Americans preferring to be in the coffin at a funeral than delivering the eulogy, many of us laughed. There was familiar truth in Seinfeld’s humor: public speaking is the number-one fear in America ahead of – you guessed it – death. As the owner of a public relations firm, I, along with my colleagues, help firms better their reputations, polish their presence and hone their messages so they can share what they do with more people. We thrust others into the spotlight, albeit with plenty of support, and help those individuals more effectively tell their stories. Public speaking is one of the public relations tactics we often recommend our clients consider in order to reach their target audiences. Almost always, many of them immediately avoid the idea at all costs, citing a litany of excuses as to why they can put the strategy off or find a way around it. Clearly, the fear surrounding public speaking is rampant. So why do I ask our clients to consider a fate worse than death? And why do I stare down that which many of us fear most, delivering speeches and seminars before groups of 10 to several hundred when the opportunity arises? Because of the many benefits. 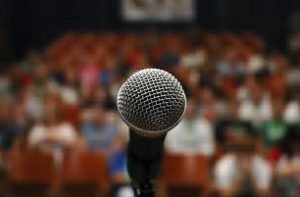 Here, then, are six reasons to brave the shake-inducing, palm-moistening, anxiety-producing feelings associated with public speaking. My main reason is quite simple: I believe every person, every business and every organization has a story. You have one, your firm or employer has one, and even the nonprofits you spend time volunteering for have one. Tapping into what that story is and using public speaking as a tool to tell the tale allows people to connect with others in a meaningful way, enables them to share knowledge with others, increases awareness of key issues and spurs action. Whether you’re saying the prayer before your family at Thanksgiving dinner, giving a speech as the maid of honor at your friend’s wedding, talking in front of six people in a boardroom or standing up for keynote at a convention, being able to speak out publicly and with confidence is an asset. Another reason to battle the fear of public speaking is that it provides an effective way for people to sell a product, company or idea. Even if salesperson is not your title, you likely need to sell ideas or concepts to others, daily. When ideas are shared and people are convinced to care about something important, business deals are closed, points of view are changed and people are driven to action. The benefits of embracing your sales side through public speaking, the part of you that helps convince and persuade, are many. Public speaking establishes individuals as experts; that is, thought leaders worthy of sharing their knowledge with others. A person can know much about a topic but if it isn’t shared, nobody else will benefit from it. Effective public speaking can change that and, when done well, can help make people stellar communicators as well as boost their reputation, grow their business and help them share a mission. Facing something that most people fear — the daunting task of presenting their ideas in front of a crowd — puts them in new league and opens the door for opportunities. A 2013 study from the National Association of College and Employers noted that the ability to communicate effectively is the top quality employers look for in job candidates. Those public speaking skills might be the ticket to that next job opportunity, promotion, new client or connection. Speaking engagements help people gather their thoughts, leaving them with materials on a given subject matter that they then own and can easily share. For instance, this article was constructed from notes I put together for a speaking engagement I delivered on public speaking for an all-female audience of nonprofit volunteers interested in professional development. In addition to where you are seeing it now, I also plan to post the content on my firm’s blog and use the tips in a series of social media posts. I may even refresh it for future speaking engagements, so the time and effort I put in will pay dividends many times over. 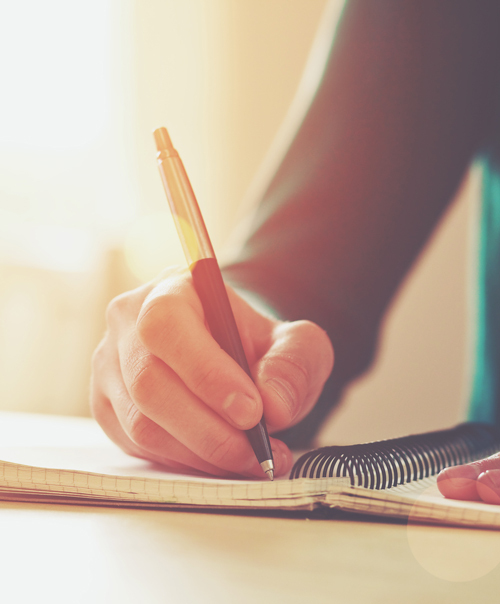 Another unexpected benefit of preparing for a speaking engagement — and yes, you must prepare — is that it makes a person as much the student as the teacher. Gearing up for talk can inform people more deeply about their subject matter. 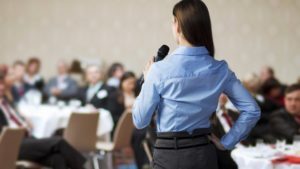 Practicing for a speech can teach people how to readily articulate that information, whether it’s in a meeting, at a party, working the room at a networking event or otherwise. And in sharing, speakers will likely learn from audience members, meet new people or make a few friends, expanding their sphere of influence. When I taught a public relations class to college students recently and spoke about a topic in front of the group, I often learned interesting things from their questions, comments and insights. Speaking engagements help individuals raise their public relations profile, enhancing their personal brand and maximizing their leadership potential. Think about it: anything that sets you apart from colleagues or competitors will differentiate you from them, adding to that resume and opening the door to even more possibilities. That next speaking engagement you are invited to pursue could open the way for an opportunity to be an expert voice in a news story or to obtain a new job or a promotion. Being persuasive is a life skill and public speaking helps people sharpen that ability. Remember, those who can convey their thoughts in an engaging, interesting, informative and entertaining way are well ahead of the people who would rather be cozying it up in a coffin than delivering that killer presentation. As for me, I’ll take the mic.